Stephen Curry earned a spot on his first All-Star team during the 2013-14 season, a season where he led the NBA in three-pointers made. Curry now has larger targets than All-Star teams, as his Golden State Warriors team is proving to be one of the best the sport has ever seen. 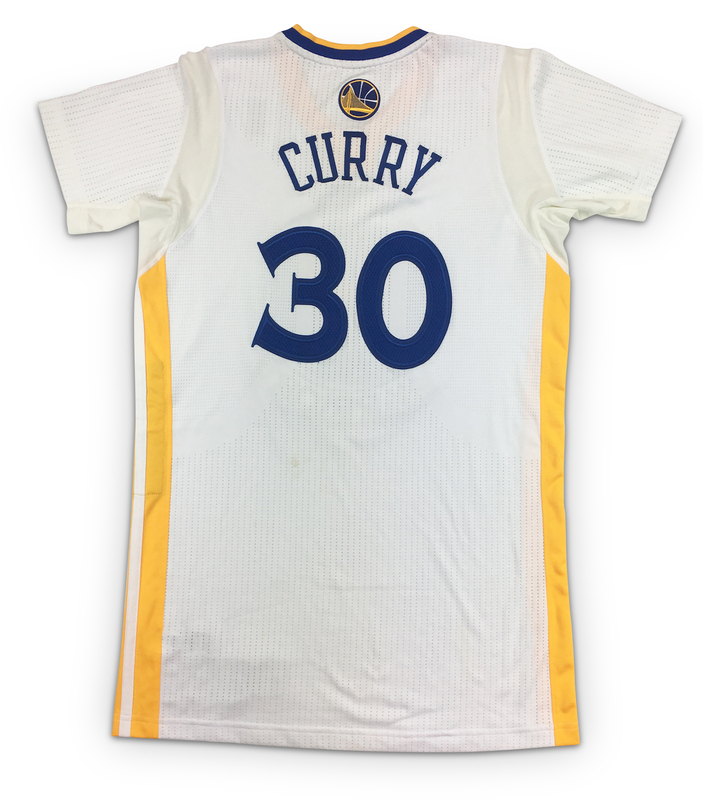 Curry is en route to back-to-back regular season MVP awards and his smashing most three-point shooting records along the way, as this season he became the first NBA player ever to make 300 three-pointers in a season. 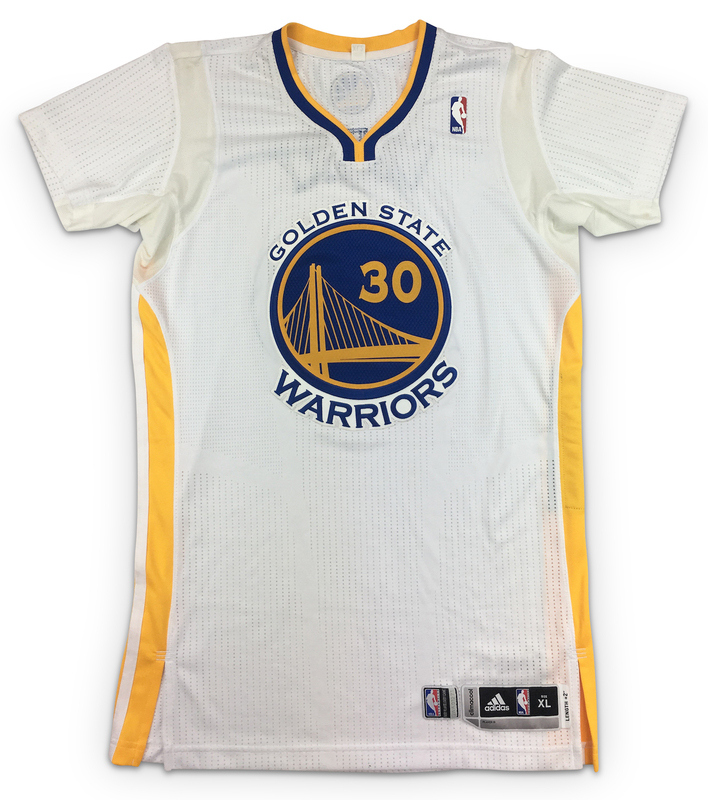 Presented is a perfect team issued Stephen Curry home jersey from the 2013-14 NBA season. The size, specs and tagging are all in line with Curry gamers from the above mentioned season. Jersey Specs/Tags: Adidas / Size XL / Length +2"